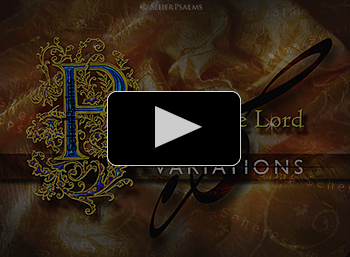 Praise to the Lord - Variations: the song of SeherPsalms: New melodies for a church hymn. 1) Praise to the Lord, the Almighty, the King of creation! Oh my soul, praise him, for he is thy health and salvation! Join the full throng: Wake, harp and psalter and song; sound forth in glad adoration! 2) Praise to the Lord, who o’er all things so wondrously reigneth. Who, as on wings of an eagle, uplifteth, sustaineth. Hast thou not seen how thy desires all have been granted in what he ordaineth? 3) Praise to the Lord, who hath fearfully, wondrously, made thee. Health hath vouchsafed and, when heedlessly falling, hath stayed thee. How oft in grief hath not he brought thee relief, Spreading his wings for to shade thee! 4) Praise to the Lord, who doth prosper thy work and defend thee. Who from the heavens the streams of his mercy doth send thee. Ponder anew what the Almighty can do. Who with His love doth befriend thee. 5) Praise to the Lord! Oh, let all that is in me adore him! All that hath life and breath, come now with praises before him! He is my light! I want to keep it in mind. Let sounds of Amen sustain!